More than 4.5 million people have fled Syria, the vast majority to neighbouring countries, since the start of the proxy war led by the United States, its European and Gulf allies and Turkey to topple the regime of President Bashar al-Assad in 2011. The exodus intensified in the wake of US airstrikes that started in September 2014 and Russian air strikes that began at the end of September 2015, with more than one million having fled since September 2014. The number now stranded on the border is growing as Syria’s civil war enters its fifth year and neighbouring countries are preventing Syrians from entering. Lebanon, which according to its government hosts around 2 million refugees, has effectively sealed its borders by requiring Syrians to have an embassy appointment, a flight out of Beirut airport, or a guarantor—a citizen who takes responsibility for their residency—almost impossible conditions for the vast majority. Turkey, which hosts around 1.8 million refugees, has tightened its entry requirements for those who arrive by air or sea. Earlier this month, some 400 Syrians were stranded at Beirut airport when cancelled flights to Istanbul meant they missed the chance to land before the new policy was enforced. They were forced to fly back to Syria. Jordan has for the last two years strictly controlled the number of refugees coming into the kingdom, which has fallen from several thousand a day in 2012 to just 50-100 a day, and on some days, none at all, as the daily reports in the local newspapers show. Most of these are emergency cases. 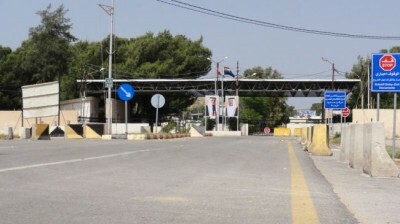 While the government in Amman has justified this with concerns about “security,” it wants to limit the Syrian refugee population, particularly those of Palestinian origin, so as not tip the demographic balance further towards Jordan’s Palestinians and away from its pre-existing and largely indigenous Bedouin population. Following Amman’s closure of the border, refugees began massing in the desert north of the border in makeshift tent cities at Rukban and Hadalat. In many cases, they had paid smugglers hundreds of dollars to drive them from the north of the country controlled by Islamist militias through government-held territory to the eastern desert in a journey that can take days with little food or water. Aid workers and Jordanian officials say that this sudden rise in refugees is a consequence of Russia’s bombing of Islamic State in Iraq and Syria (ISIS)-controlled areas in Homs, Palmyra and Raqqa, contradicting US claims that Russia is not targeting ISIS. As the number of refugees on the border has grown, so has the need for supplies such as water, food, medicine, tents, medical aid and logistical support that the aid agencies are struggling to provide. The Office of the United Nations High Commissioner for Refugees (UNHCR) warned in December that health conditions were deteriorating, with the emergence of diarrhoea, vomiting and acute malnutrition among children. According to aid officials cited by theFinancial Times, “tens” of Syrians—mostly the elderly or children—have died there. Many of the women are pregnant, and at least five babies have been delivered at the border, according to the Red Cross. Jordan hosts about 1.4 million Syrian refugees, about 20 percent of its entire population. To put this into perspective, this is equivalent to nearly 64 million refugees in the US, which in contrast has allowed just 2,647 Syrian refugees to settle—just 0.06 percent of the 4.5 million who have fled the country since 2011. The Syrian refugees follow the generations of Palestinians, Iraqis and more recently, Libyans, who have sought refuge in Jordan. According to a World Bank official, “one in every three persons [is] … a refugee” in Jordan, making Jordan the world’s second largest host of refugees per capita following Pakistan, and host to the fifth-largest refugee population in absolute terms. According to the World Bank, there are 2.7 million registered refugees in Jordan, including 2.1 million Palestinians, although the UNHCR has only about 700,000 persons from 41 nationalities registered as refugees in Jordan. Of the Syrian refugees, only about 600,000 have registered with the UNHCR, with some 120,000 living in refugee camps in Zaatari and Azraq. Zaatari has become Jordan’s fourth-largest “city” and the second-largest refugee camp in the world. Since July 2014, refugees have been unable to leave the camp without sponsorship from a Jordanian citizen and the payment of a fee, rendering them virtual prisoners. The vast majority are living outside camps, with only 68 Jordanian dinars ($100, 87 euros) a month in support from the aid agencies. Forced to work illegally in the informal sector, they face the constant threat of being transferred to the refugee camps where only the poorest of the poor live or sent back to Syria. Jordan estimates each Syrian refugee costs around US$280 per month. Jordan has a public debt to GDP ratio of 85 percent, growing unemployment officially running at about 15 percent (unofficially about 30 percent), rising living costs and an estimated budget deficit of 10 percent of GDP in 2016. There has been a huge shortfall in the aid pledged at donor conferences, with only $272 million of the pledged $1.2 billion actually paid out. Last September, European Union leaders agreed a miserly $1.1 billion for Syrian refugees in the Middle East, in contrast to the $3 billion bribe to Turkey to ensure it stops the flow of refugees to Europe. In late 2015, Jordan appealed for $7.99 billion for its costs for 2016-18, having received barely a third of the $3 billion it estimates it needs this year to pay for the humanitarian costs of the Syrian crisis. Last year, Washington announced it would increase annual aid to Jordan to $1 billion from $660 million, although it was unclear how much was of this was military support. Most of the aid goes to United Nations agencies and the international NGOs that work in the camps, although the majority of the refugees are living in some of Jordan’s poorest municipalities. Local authorities that manage public services get little or no support, exacerbating already overstretched services such as education and healthcare, and infrastructure, particularly water and waste management, where the build-up of waste is highly visible. According to the US Agency for International Development, the total fiscal cost of the refugee crisis for municipal governments was around $25.4 million in 2013 and $33.0 million in 2014. Schools are forced to operate two shifts, leading to an increase in the proportion of students attending double-shifted schools from 7.6 percent in 2009 to 13.4 percent in 2014. Nearly half of all schools in Amman and Irbid have classes of 40-50 pupils. Following the ending of free primary and secondary health care for registered Syrian refugees in November 2014, previously eradicated communicable diseases such as tuberculosis, polio and measles have re-emerged.